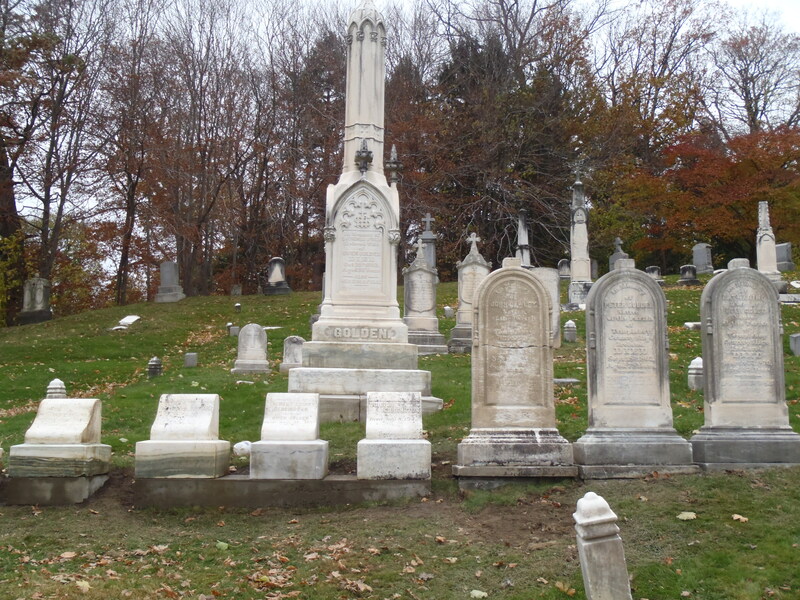 Don’t forget to include your family’s cemetery monument on your cleaning list! 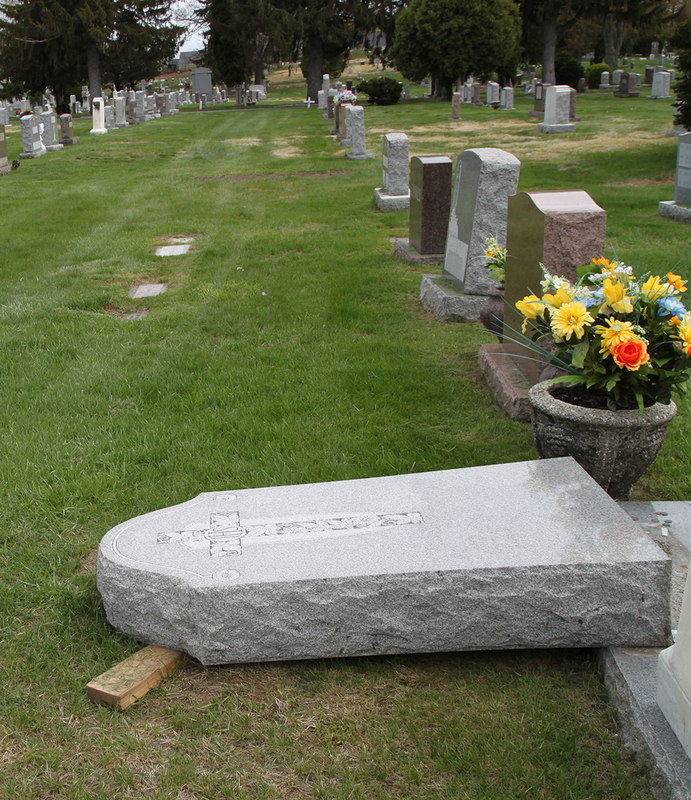 Cemetery monuments are exposed to pollutants and often are breeding grounds for lichen, mold and moss. Black stains and biological growth on monuments obscure inscriptions and make an otherwise beautifully carved stone unsightly. using only the finest cleaning agents and best techniques to restore your monument and greatly improve its appearance. 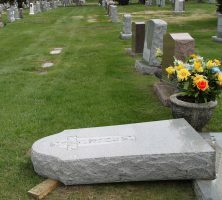 If you notice an issue with your monument, please do not attempt to push or move it on your own! Monuments generally weigh 180-220 lbs PER CUBIC FOOT! Recently, after a winter frost had adjusted a families monument setting a few inches, the family tried to adjust the monument on their own. This resulted in the collapse of the monument and injury. Please contact us so that we can assist or advise you on how to safely accomplish the task. 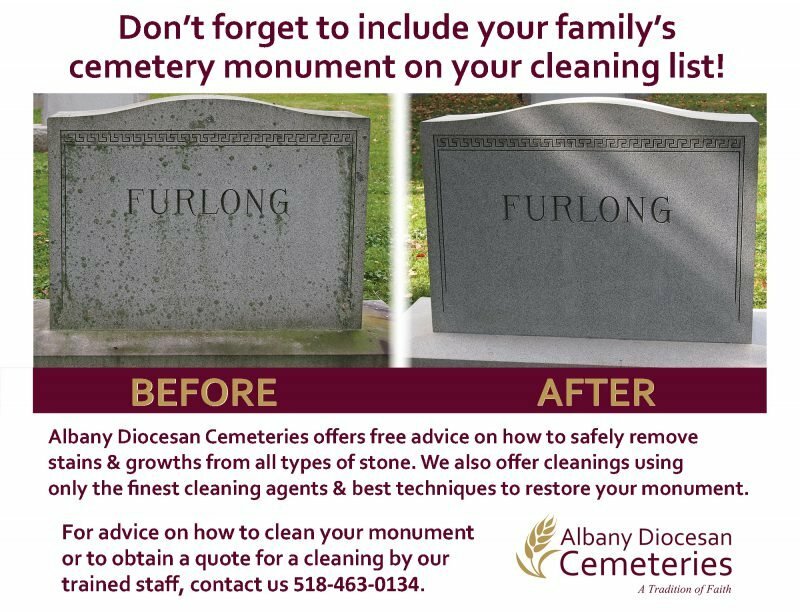 2 Responses to Don’t forget to include your family’s cemetery monument on your Spring cleaning list! I just visited my family plot in Hagamen Cemetery. I noticed the stones really could use a clean. I also visited my own family at Our Lady of Mt. 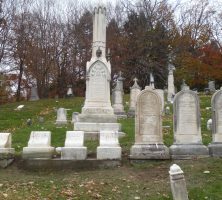 Carmel cemetery in Johnstown. I would very much like to clean the stones. Most of the elders of the families have passed on; leaving no one to care for the grave sites. I would like to take this upon myself. I would like information on the best way to clean stones. Thank you for your assistance. I will have our Historian Kelly Grimaldi contact you with information. You can also give her a call at 518-350-7679.